I am not the expert, that would be Denise Ross, but I have come upon a means of coating silver gelatin emulsion in an affordable way that works quite well. Although I might wish to lay the blame on my mother, it really goes back to the Great Depression, where she learned to waste nothing and value financial resources. This is the reason why although I can spend a fair amount of money to resolve the difficulty of coating paper with silver gelatin, I was not able to go that route and was determined to find an affordable way to do it. I used liquid emulsion many years ago in the experimentations to find my niche. I spread the emulsion on paper with a brush, which occasionally worked fine, but more often than not offered brush strokes and thickness inconsistencies that ran contrary to what I was trying to do. While others are able to find this an artistic choice, it did not work for me. The best way to evenly spread silver gelatin emulsion is to use what is known as a Mowrey coating blade. This is a stainless steel rectangle that has a well in the middle with one long end having a gap at the bottom that allows emulsion within the well to escape. As this blade is drawn across the paper it leaves the emulsion on the paper even with the clearance at the bottom. I have used one and it works wonderfully. When these blades were available the cost was $275. I can only think about how much paper can be purchased for that amount. Denise Ross’s The Light Farm offers suggestions in this regard and I did attempt to make my own coating blade with thick glass but just was not able to get the gap correct. One thought is to use a puddle pusher. These are great with coating paper with sensitizer (like VanDyke or Cyanotype) but used as intended would simply push emulsion off the paper. The way to use this with emulsion is to wrap each end with tape to provide a gap in the middle, with the gap being the amount of emulsion to leave. I used Scotch 501 tape, which is 1 mil in thickness. As I wanted a 5 mil gap that meant five turns around each end. Although this worked, I had difficulties initially pouring the emulsion onto the paper in a way that allowed the same amount of emulsion on both sides of the paper, so one side would inevitably run out of emulsion before the other side. I have had some success using a wire-wound metering rod and these can be purchased at a somewhat reasonable price – one resource would be https://www.gardco.com/pages/application/ap/wirewound_rods.cfm. I have not bought one and anyone considering doing so will want to read http://coursenotes.mcmaster.ca/4L04/Thin_Films/Meyer_Rod_Application_of_Polymer_Films.pdf to determine the proper wire diameter. The reason I did not make the decision to go in this direction is the fact that unless the emulsion is poured evenly across the paper, one end will exhaust emulsion as the rod is drawn down the paper while the other end will continue the coating process. The part of the paper with excess emulsion can be used for testing, but I use digital negatives so for me this is just wasted paper and emulsion. So there are a number of options that work, but not well for me. What did work for me was a combination of a couple of things above. The key was the Mowrey blade. I did not want to deal with the financial outlay so I decided to design my own. As mentioned, I was not able to successfully construct one myself of thick glass, but I was able to design one to be built on a 3-D printer. 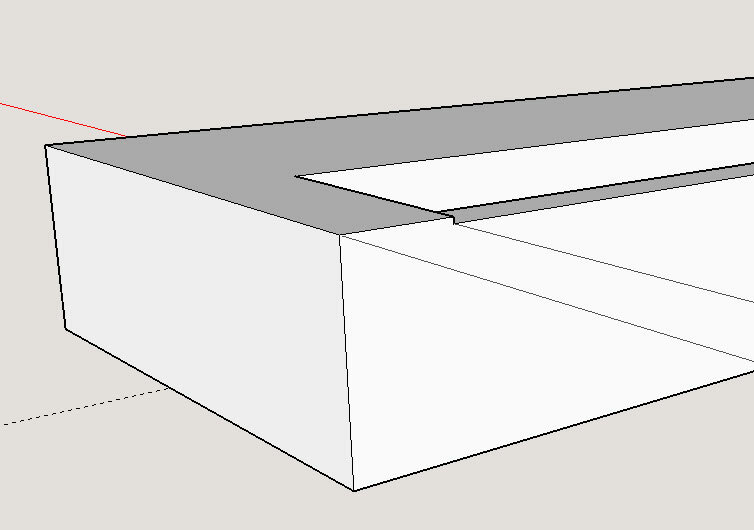 I placed the stl file (a file that has all of the information a printer needs to make this object) of my design at http://glsmyth.com/articles/emulsion-coating/Mowrey_Blade.zip, so anyone wishing for one can download it and send it to be printed. Finding a company to print a 3-D object, as the prices can get out of control, but I found a source at https://www.3dhubs.com/ to print the device for about $20, and that included shipping. Alternatively, many libraries have the ability to print 3-D objects, so that is probably the best resource to first check (my library printed one for $11). There is a problem, however, and I will refer to it as a feature. An actual Mowrey blade has an adjustable gap, so it can be set to spread emulsions of different thicknesses. Although I have a singular need for the device at this moment, I may wish to use it for something else in the future. That is why I designed the blade with a 1/32” gap, which is much too high for silver emulsion. When using this device I follow it with a puddle pusher that has a 5 mil gap. 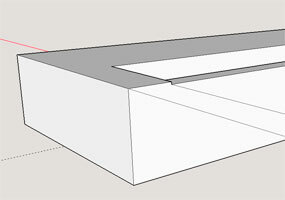 The well within the blade evens the emulsion across the width of the paper, and the gap in the puddle pusher allows for the exact depth of the emulsion throughout the page. Tip: You can check the thickness of the puddle pusher's gap by using a piece of film as a feeler gague, as the typical thickness of film is in the 4-7 mil range. With the final cost of the object less than a tenth of a Mowrey Blade (which is no longer available), I can now think about how to best use the other $250 to purchase paper.